We’re so proud that our most famous EFB customer came back to us to take the next step to satellite connectivity! Now that Arconics is part of ViaSat, we can offer a fully-connected aviation app suite, with connectivity across the sleigh (including the SID, Sleigh Interface Device), into the EFB and with direct data links back to base. Santa connects to the ViaSat satellite network so that he can catch up on his favourite non-linear TV shows and movies on the long flight legs across the wilderness. He can also stay connected to his base in North Pole for any naughty/nice updates and even feed data from his sleigh back to the elves in Flight Ops so they know where he is and how the sleigh is performing. The Flight Ops elves can also send weather updates in real-time. Santa’s connected! It’s kind of magical! What would Santa do if Rudolph’s red nose stopped working? Luckily, the Sleigh’s full suite of operating manuals (OEM and elf-produced), including MEL tells him exactly how to react. Reindeer X 8 (Dasher, Dancer, Prancer, Vixen, Comet, Cupid, Donner and Blitzen). Rudolph X 1 – essential for his integrated anti-collision light system. Bells, to make those cute jingly bell sounds. We tried to do the math about how fast Santa needs to travel, including all those tricky take-offs and landings, so he can make every delivery across racing time zones. But our heads started to hurt. North Pole take-off runway, with reindeer zones and Aurora zone well-marked. This is especially useful on the return leg, as Santa will be fairly exhausted by sunrise on Christmas Day. Toilet rest stop locations, because all those little drinks and snacks soon add up. Fresh carrot patches in the southern hemisphere so the reindeer can stay at maximum performance. It’s critical that Santa has his finger on the pulse with a clear view of weather activity all around the globe. He’ll be taking off from an area where temperatures can get down to -9C/15F, with snowstorms a daily occurrence. Last Christmas (Hi George! 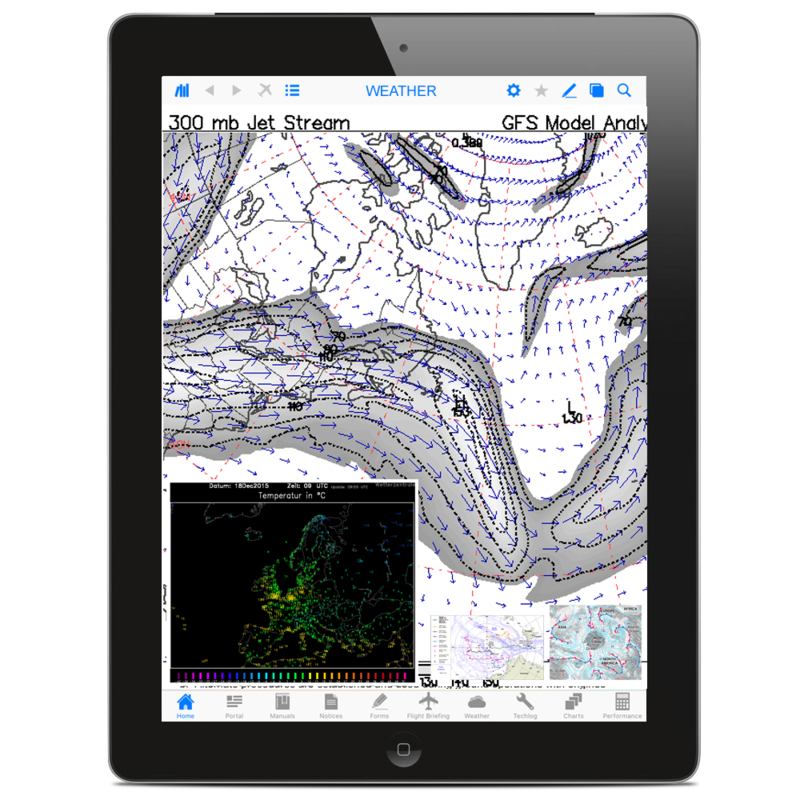 ), AeroDocs EFB weather was updated dynamically whenever Santa he got within range of wifi. This year, with full satellite connectivity to his sleigh, weather updates can be constantly updated, wherever on the planet he may be. 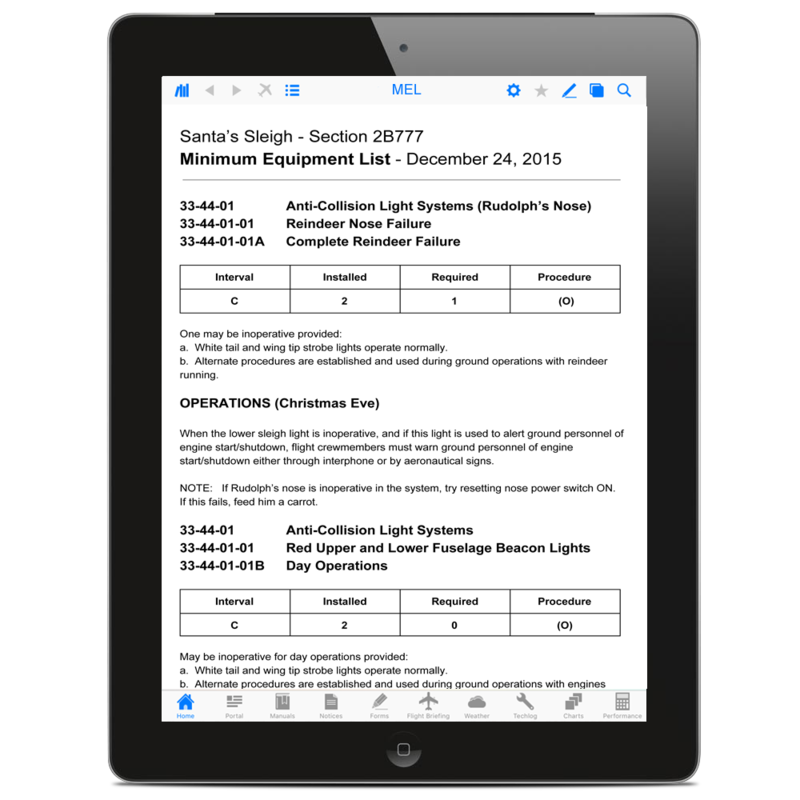 Along with weather, Santa’s Electronic Flight Folder – EFF – includes Flight Plans so that Santa has his routes optimised. Jet stream location. Avoid this when travelling west. Blizzards, so he doesn’t miss a single chimney. Black ice, because slippery landings may cause toy loss. 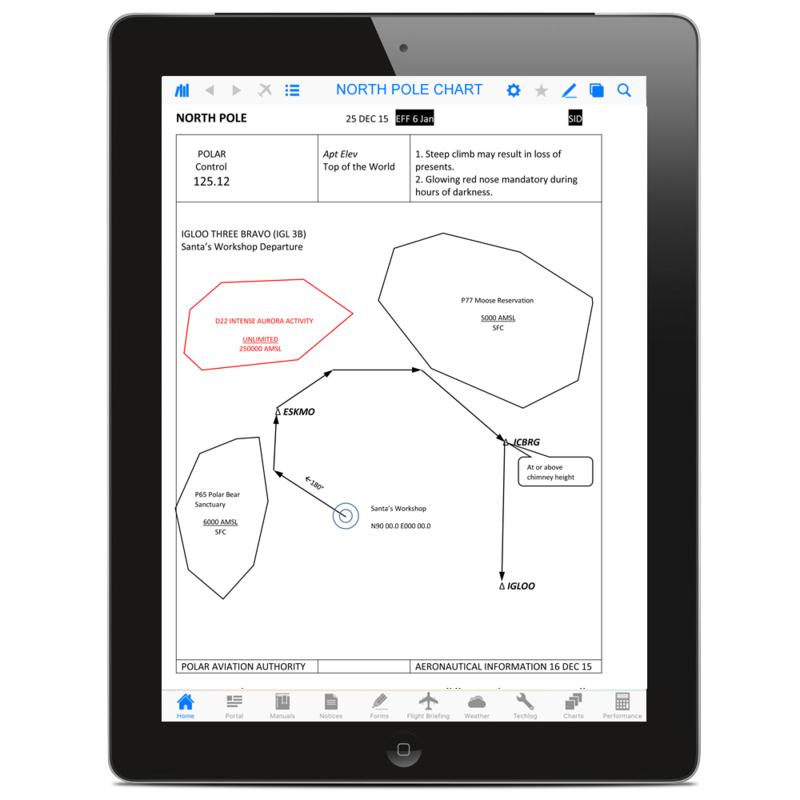 Let us know if we can help you to deliver a genuinely paperless cockpit, data EFB, wireless IFE, cabin management and full satcom connectivity across your fleet in 2017. Arconics connectivity solutions mean that there’s no need for elves or Santa’s magic to help everyone in your airline perform more efficiently and to keep your passengers coming back again and again! The Arconics crew would like to wish you, your family and your colleagues a Happy Holiday season and best wishes for a great new year. We look forward to staying in touch in 2017.